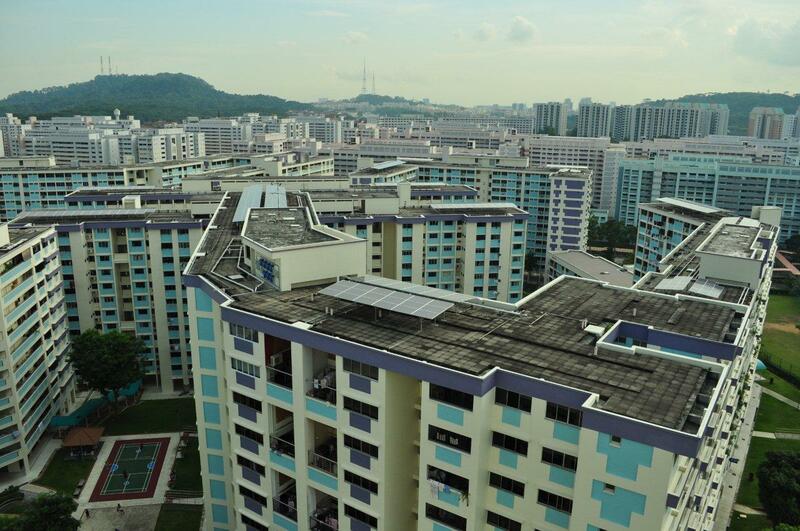 This 185 kWp Solar System is installed onto the RC rooftop of 5 HDB blocks at Bukit Panjang Ring Road. The solar array is divided into strings of modules, feeding into grid inverters. The grid inverters convert solar energy to electrical energy & inject into the grid. Being a grid-tied solar system, it reduces power consumption from the Grid. The installation covers a large part of the roof, helping to keep the building cool, thus reducing power consumption via air-conditioning. This system is a very simple & reliable solar power system which does not require frequent maintenance. The routine operation cost of this system is thus negligible.